Continuing on our adventure from last time, we were still hunting for spare parts to fix our broken power generator. Our destination today was a large island which would definitely have what we need. These lands were brightly lit at night and I could clearly see the the glowing coast from me looking glass. Suddenly, I spotted something rather strange. This was not the Caribbean, but there was a shack which somehow resembled a Cuban tavern. "Spare parts can wait, lets have a grog banquet first men. ", I said. Me crew cheered as me Engineer sighed. I promised her that we would not return without the spares. Going to the Cuban Capital may be a long stretch for most, but its certainly easier to go Havana Cafe. Located at the Gordon House hotel in the fancy part of town, this place is in a neighborhood with many giants like Cafe Mondegar. The cafe is fairly new but the commerce is running smoothly and one feels as if it has been around for ages. Finding it could be troublesome since it doesn't have many visual cues pin pointing its location and you must ask the Gordon Hotel security staff about its location on the first floor. 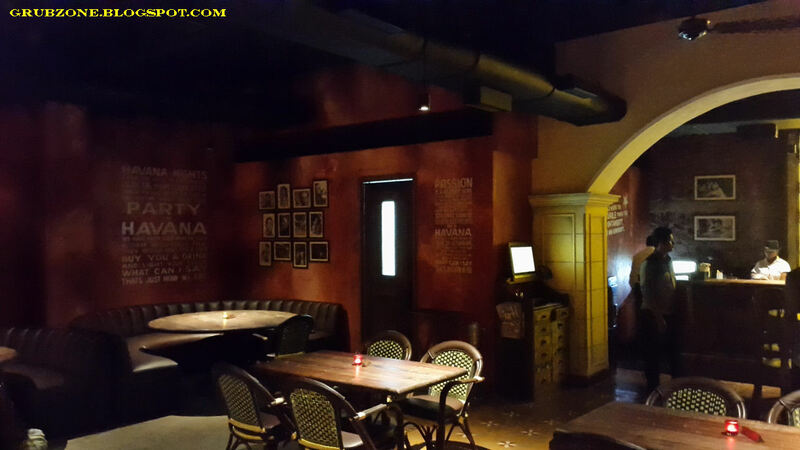 Cafe Havana is far from being a perfect replica of Cuba, but it does create its own vibe and embraces some popular Cuban beliefs. The dim lit ambiance is perfect for a long weekend evening and the cafes operational hours(open till 3 am) allow people to really chill out. The music could need some work as it doesn't feel Cuban or Spanish or Caribbean for that matter. People wearing Fedoras in the cafe was quite intriguing. Though I have positively seen round hats and Castro-isque Caps more often than Fedoras in Cuban pictures. This evening was almost a convention of Food bloggers, Reviewers, Lifestyle bloggers, Twitteratis, Instagram Influencers yadda yadda etc. There were a lot of guests including myself invited for an opening night party. 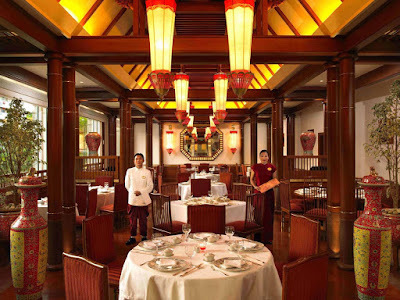 The establishment is operated by the well known Mars Hospitality (Of Pizza by the Bay fame) group and thus it was expected that they put up a grand show. 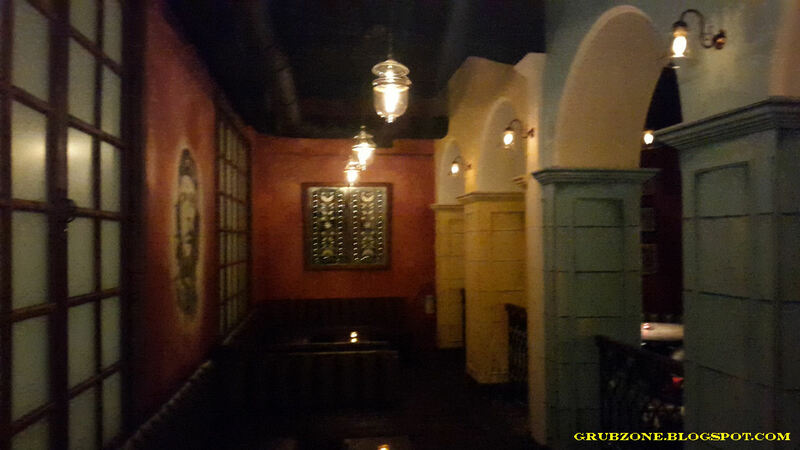 To start this off, Cafe Havana is more of a bar and less of a cafe. Don't come here expecting good grub. This place is strictly a watering hole at least for now. There is a small food selection available which mostly can be described as bar nibbles. There is a large selection of Grog on the offering. Many classics and some Caribbean themed mixtures like Cuba Libre, Mojito, Havana Sunrise, Zombie, Pink Flamingo etc. 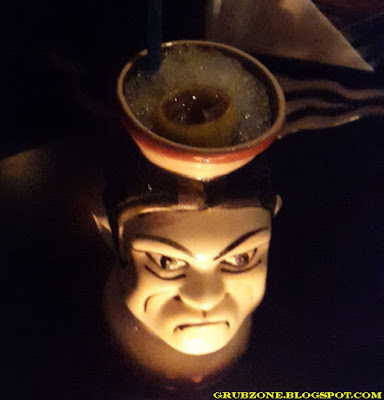 Marked as a house specialty - The Jack Sparrow cocktail is a strange one. Its different from the Captain Jack Sparrow cocktail in the west which uses Captain Morgan's Spiced Rum and Pineapple juice. 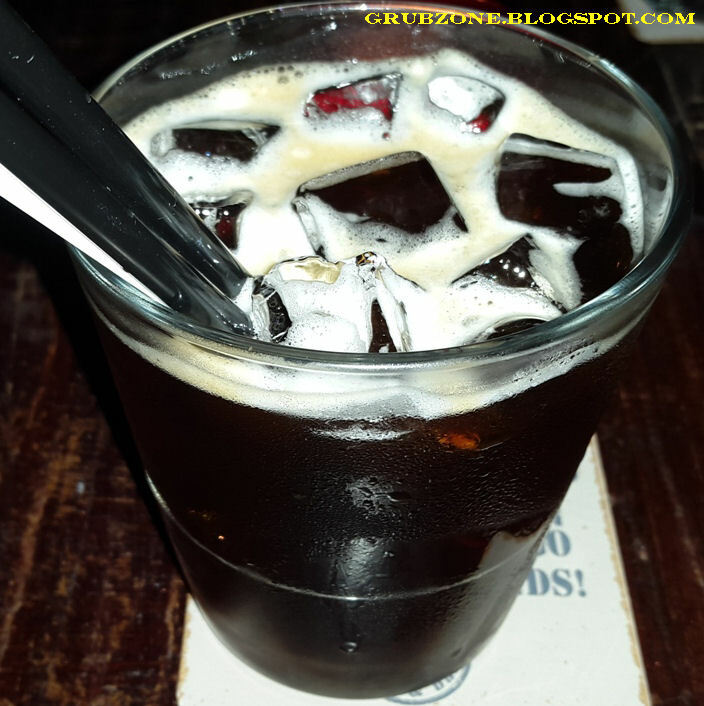 Cafe Havana's variant used white Rum, Kahlua and Mocha to make an unique blend. 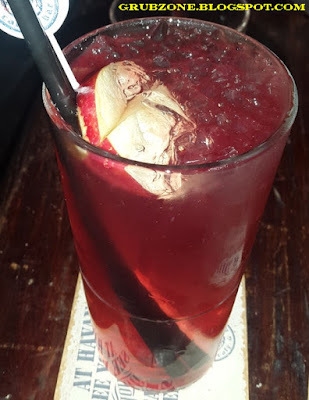 Being a lover of Rum cocktails, I cannot say that this was the best that I have had. It was certainly fun but the flavor was mostly dominated by the coffee rather than the rum. It carried the kick of the rum but had the flavor of Coffee. In modern times, Sparrow is probably doing a desk job(software pirate perhaps) and uses this instead of his regular rum fix. Though I think old Sparrow preferred Red or Dark Rum over white. Captain : Mocha in my Rum? Thats quite queer. Crewmate : Do you dislike it Cappy? Captain : No, but methinks Jack Sparrow wouldn't like coffee in his rum. Acapulco was my choice for a non alcoholic drink. Though Acapulco is not in Cuba, I went for the mix anyway. 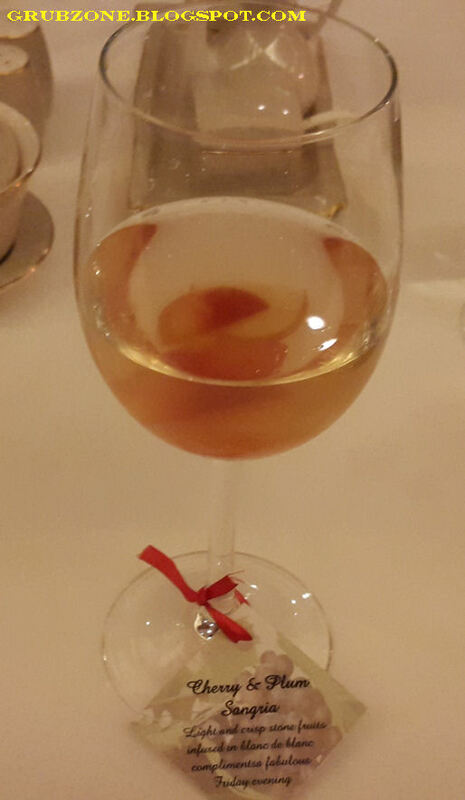 Billed as a mixture of Cranberry, Apple and Honey - its flavor was mostly dominated by Apple juice. 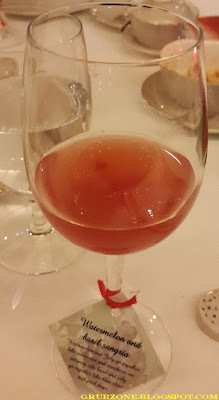 The thing about most branded Cranberry juices in India is that they use a mixture of Grape, Apple, red food coloring with some Cranberry essence and call it a Cranberry juice. If one uses this concoction in a mixture that already contains apple juice, then the flavor will definitely be dominated by the Red fruit. It was lacking the tang that Cranberries provide making it a sweet red colored apple drink. While the grog is definitely top notch and will satisfy most people's evening fix. The grub that accompanies the drinks is quite average and definitely needs improvement. The Empanadas were tasty but did not feel Spanish, they reminded me of the savory Kachori like snacks we have in India. 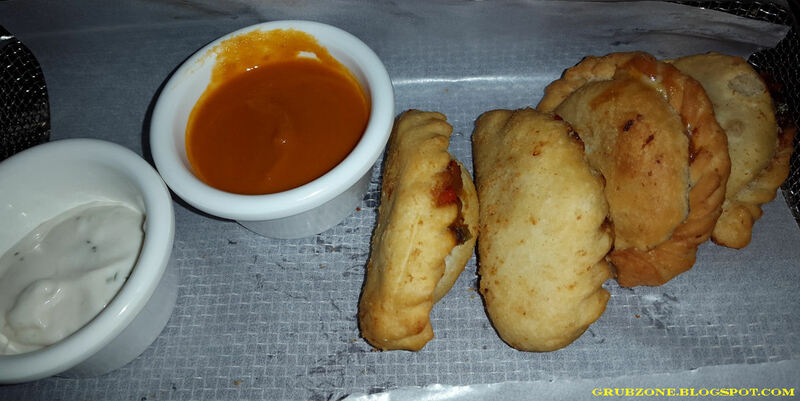 I am not saying that this was a bad thing but an Indianized Empanada doesn't quite fit in the whole Cuban theme. Chicken Aioli skewers resembled Satay but the flavor was distinct due to the chicken being soaked in milk. The meat was soft and felt pleasantly juicy. The only problem was that the served portions felt less. 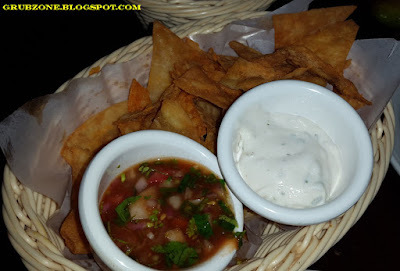 Crisp fried Nachos were quite addicting and an item that went well beyond its mark. 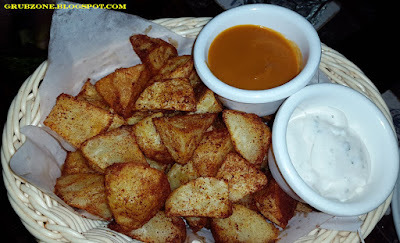 The fried Nachos were coated with a cheesy powder similar to that found in snacks like Cheetos. This not only reduced oiliness, it also added an addicting flavor to the nibble. 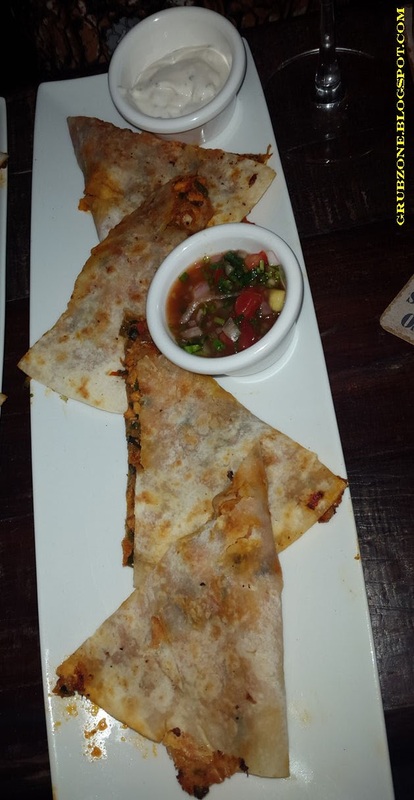 The item was served with sour cream and homemade salsa. Went better with the sour cream as I felt that the salsa was a bit too mild for me. Captain : This is not tasty, you wont like it lad. Crewmate : You seem to be enjoying it all alone though Cappy. Captain : Oh I am just sampling...you know. Cubanos may not really require Cuban flags but its fun to see food with flags once in a while. For a vegetable variant, this was certainly flavorsome. 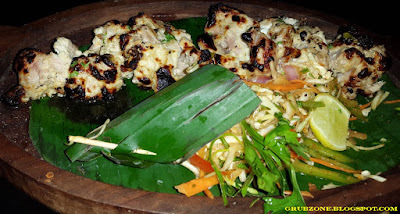 The paneer was well flavored and did not feel like an outsider in a savory spicy sandwich. Good for veggies who would otherwise demolish a place for the lack of non meaty grub. 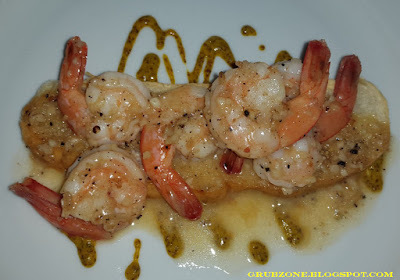 Pan seared prawns was the best nibble of the evening. It was plated well and thus felt appetizing. The taste was savory with the prawns being just right and the garlic butter sauce enhanced the flavor even further. Methinks, this is a safe bet for people looking for bites to go with their drinks. Captain : I would love to have this at night with me bottle of Captain Morgan on a table under the stars. Crewmate : I doubt the ship cook could whip this up. Captain : Quite sad, isn't that lad? 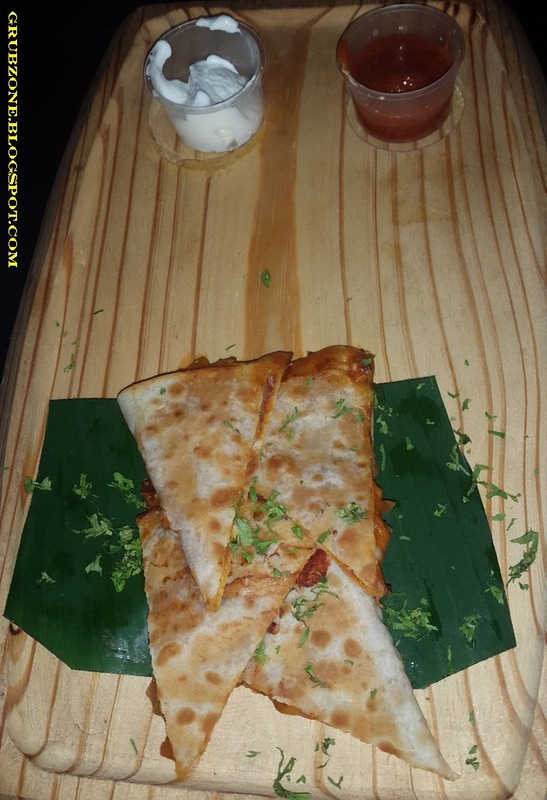 The Chicken Quesadillas were a major disappointment. The taste was below average and there seemed to be absolutely no cheese in it. The portion size felt too small as well. 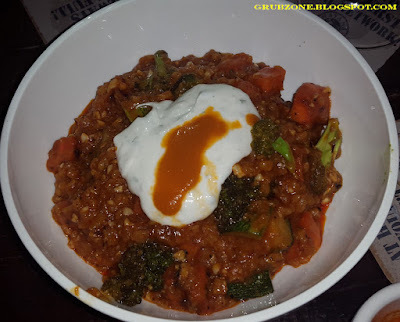 The flavor was very much Indianized with the chicken tasting like Chicken Keema. A shame since I love Quesadillas. The Paella neither resembled the Valencian delicacy nor tasted anything like it. If anything, the flavor was closer to an average Risotto. I had a few bites and moved on. 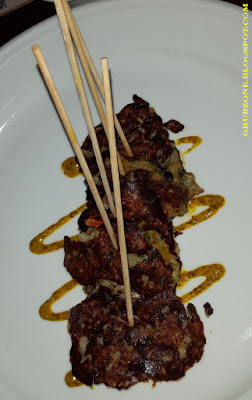 Fish Fritters had an interesting presentation but the flavor was easily forgettable. 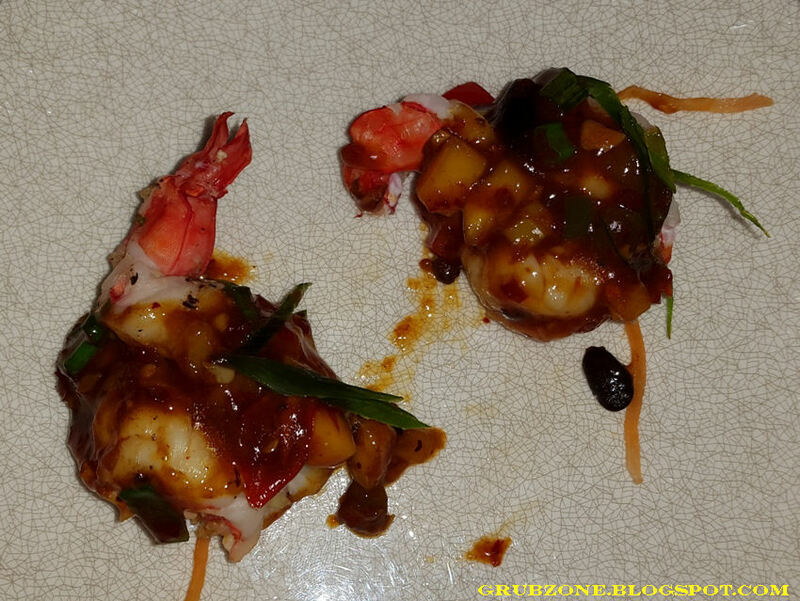 Best to stick with the prawns if you have a craving for sea food. The Churros were soft and easy on the palate. Normally, Churros are supposed to be a bit tougher but I personally do not mind soft variants. 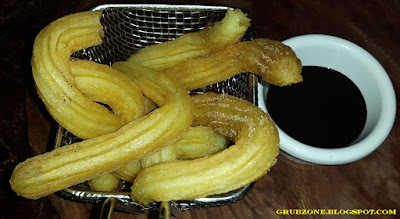 The problem here was the fact that the Churros appeared undercooked due to the color and the dipping sauce was too runny. 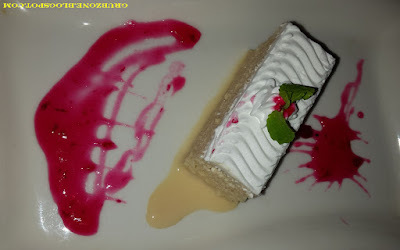 Tres Leches did not quite live up to its name. It looked and tasted very dry. Felt more like a regular cake. The milk reduction had probably been excessive. Flambeed Bananas was a fun dessert. 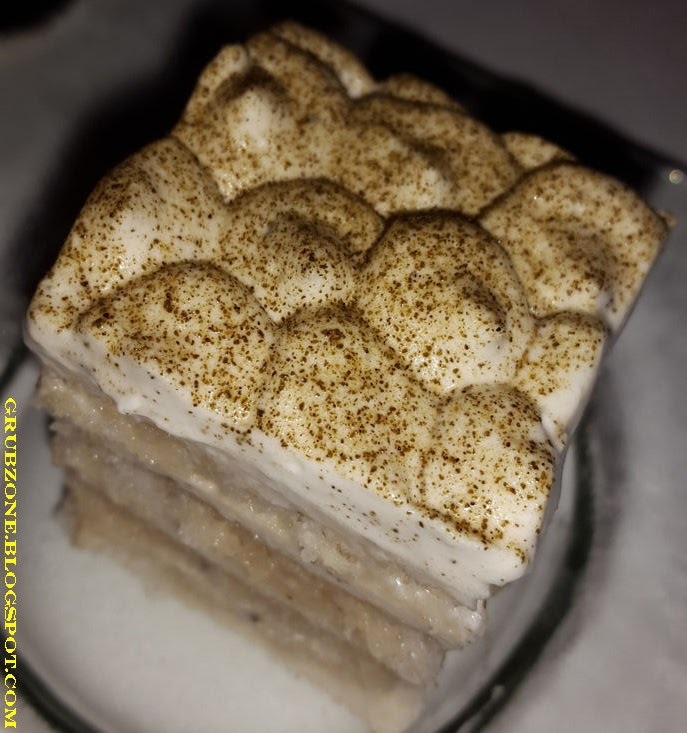 With a little bit of pyrotechnics thrown in, this sweet banana dessert was served with Rum and orange reduction. The Rum added the sweet tang to the flavor while the bananas added the fullness. Was a good comeback after the first two flops. Captain : This is pretty lad but I am not fond of Flaming bananas. Crewmate : From the bonfire of splendour, came golden flamed bananas. Soaked with rivers of rum and orange juice. Captain : If you were trying to do an impression of me loving desserts, then that was a very bad attempt lad. The service was average. It is understandable that our group was large and a few glitches here and there can happen. However, Havana needs to get its comrades together and work on the service. 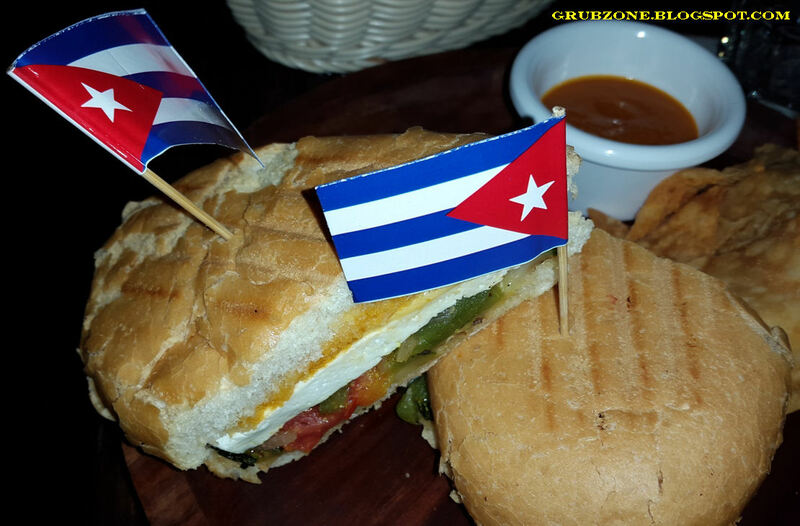 Despite requesting the server for non vegetarian variants of certain items like the Cubano, I was never served the same. Mars Hospitality has great service in some of its other establishments and I would like to see something similar here. The pricing tends to be on the upper side. 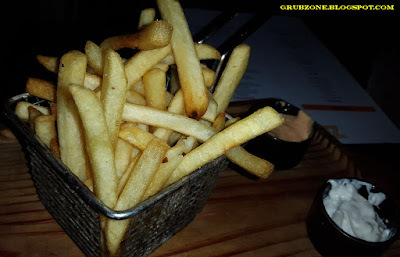 While it is justifiable for their drinks as its some fine stuff, the grub's quality needs to match up to its pricing. 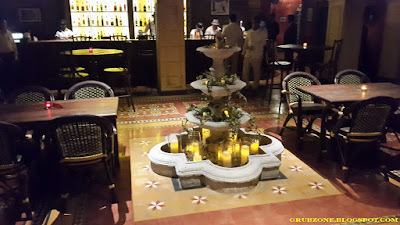 At the end, I enjoyed my Havana experience. The atmosphere gets to you. The vibes are good and the music works. 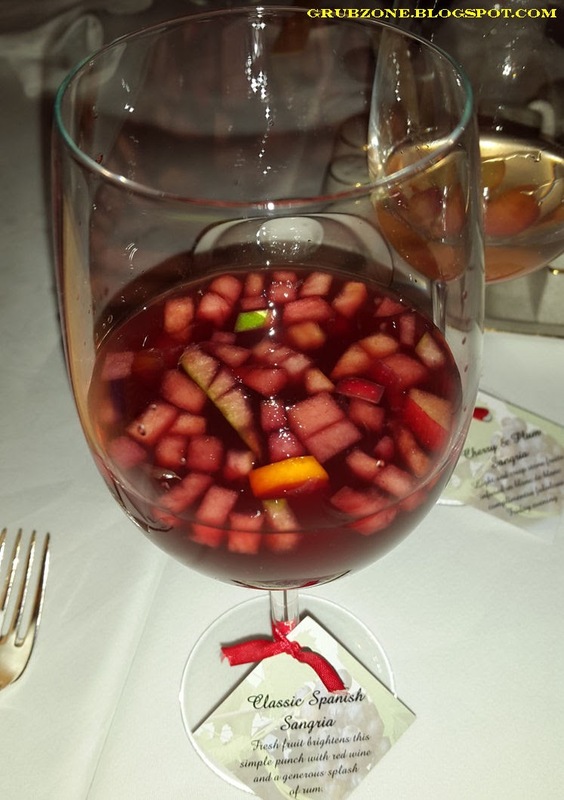 Their drinks are on the mark for the most part, just that they need to work on the food. 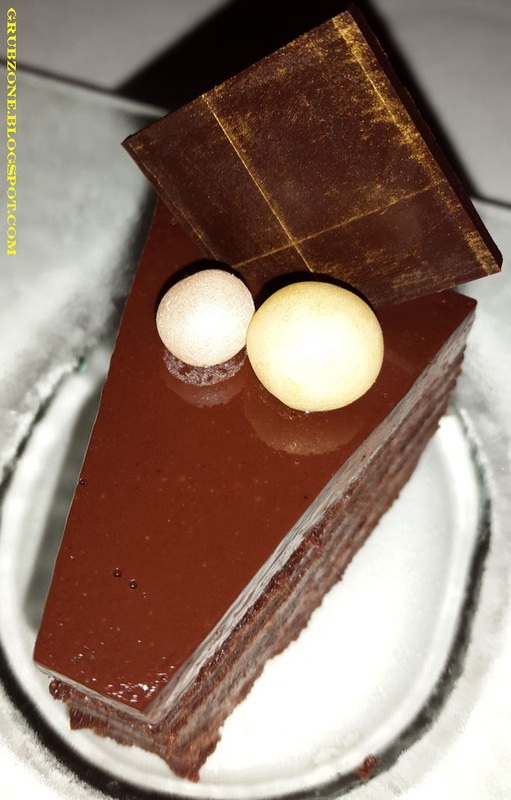 I understand that its strictly a bar but as long as food is present on the menu, it should be improved. Since the place is fairly new, it is expected that they will work on the quality and make Havana a better place next time. "Its late lads, but the Engineer wont spare us without the spares. Lets sober up and find those parts fast. Until next time." I was accustomed to sailing in the Western seas of this region and thus it came up as first time when I had to sail on the Eastern seaboard instead. The weather was fine, the winds great and me ship reached its destination well before time. I decided to explore the little islet before choosing to wine and dine. The local crowd, structures were very fascinating. There were few taverns on this little island and me destination seemed to be the tallest one amongst them. The name Zouk naturally intrigued me. Loosely meaning a style of Caribbean music, it would definitely attract any man of the sea. Zouk means a style of rhythmic music that originated from the Caribbean, the islands associated with pirates, paradise and fun. The word definitely makes an appropriate name for a lounge bar. 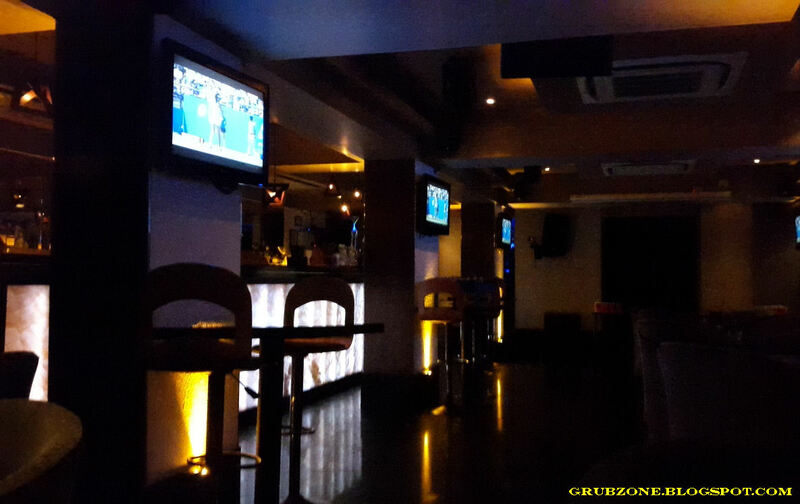 Zouk Bar and Grill is a moderate sized lounge that is wedged between other establishments. Its entrance may be a tad bit difficult to spot since the current door appears like a staff door on first look. It makes sense if I play along a theme where I come across a hidden place with an ordinary door and behind that door lies a completely unexpected otherworldly zone. Zouk used to be a casual dining restaurant in the past and has recently transformed itself into a lounge and bar. The ambiance is very typical to that of a lounge. 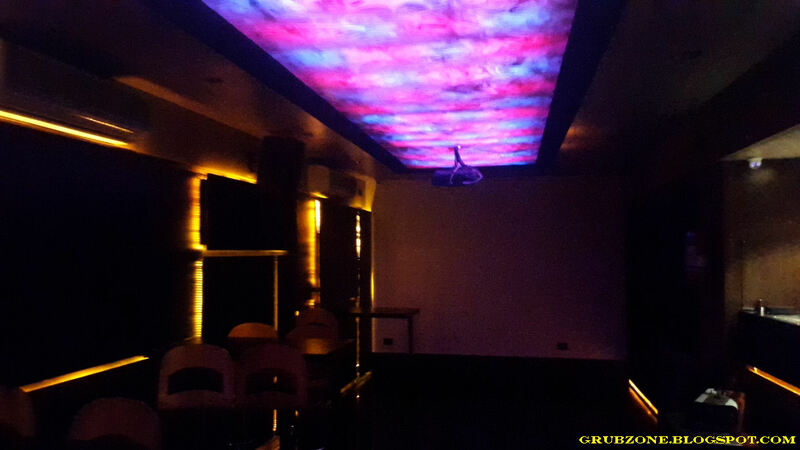 The dim lit lounge with its well placed orange lights mesmerizes the senses especially after you have a few drinks. The place is divided into two zones. The pub outside and the lounge inside. While one can sit and have drinks sinking themselves to the music outside, the zone inside requires you to use your energy to dance to some beats. I was invited here as part of a "Bloggers" group. That term has become quite broad nowadays since a lot of bloggers don't actually have blogs. The group was rather large and felt a bit uncomfortable. In fact, my drink was snatched for food paparazzing before I even had the chance to lay my eyes on it. I was happy when I saw a few familiar faces and decided to sit on a different table with them. Zouk prides in itself as a drinking destination. This is true as their forte is in their cocktails and spirits. The Gooney Goo cocktail is usually served in a Tiki glass if Google is to be believed. But the Count's head works well too. This was a strong cocktail made with Dark Rum and Brandy. It was mixed with a little Vintage port wine, Orgeat syrup and some fruit juice. The result was a tangy liquid with a deep flavor of Rum. Brandy added some sweetness and the wine provided the heat. It was quite an experience. The drink hit me hard in the head and the music around made me feel like a vampire moving in the darkness. This beverage was the strongest compared to everything else in the evening. Captain : So, I am drinking straight off the count's head. Captain : In me four hundred years, never have I heard of such a dull joke. Crewmate : Wait, did you say...four hundred? Legend has it that Vikings drank from cups fashioned out of their enemy's skulls. 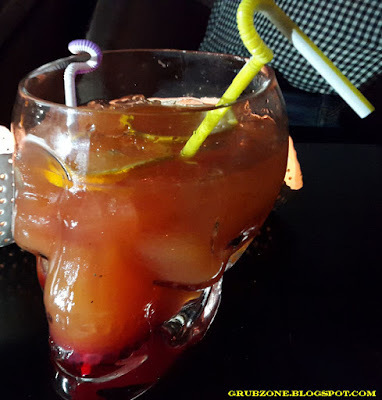 Come modern era, Zombie was served in a glass skull. The experience can be narrated as a drink that makes one feel like a modern undead viking. Although, this felt quite safe. Made out of three different Rums and fruit juices, Zombie had a flavor tending more towards the fruity side. It was fun but definitely far from Zombifying anyone...or was it? Served in glasses resembling bullet shells, the Silver bullet had quite an impressive presentation. 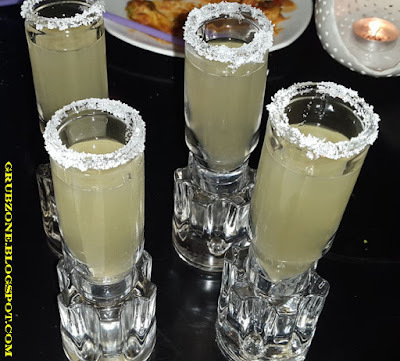 These Gin-Tequila shots felt like the proverbial bullet used on a werewolf. Though not every strong, the tang of lemon and gin with the heat of Tequila made these quite addictive. 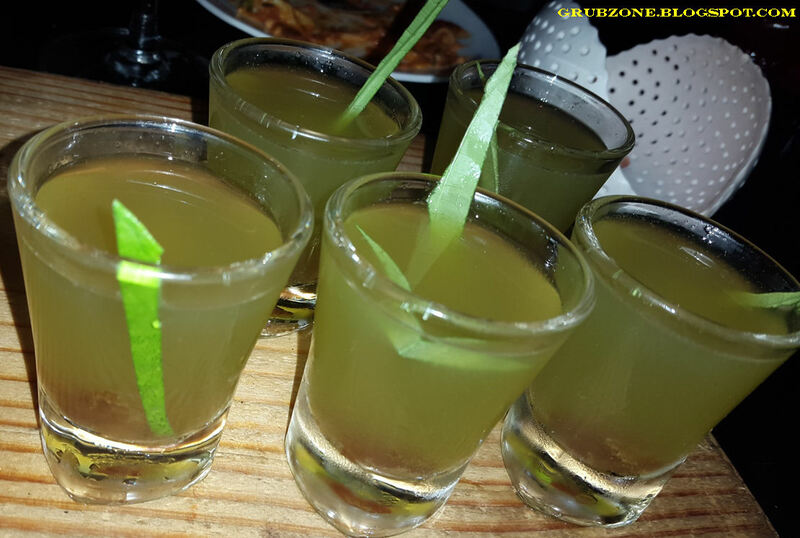 Paan shots were made with a mixture of Betelnut essence, Gulkhand and Vodka. The color was quite attracting as it resembled a milder version of Midori. 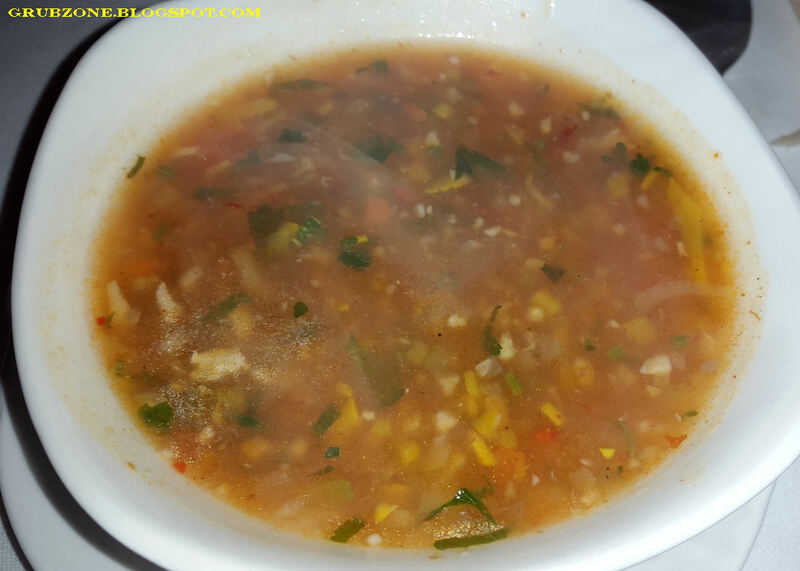 The taste was quite powerful with Vodka and Gulkhand creating an overwhelming flavor. I do feel however that it would have made more sense to serve these after the grub. Killer Zouk was served in syringe shaped containers. One had to orally administer the stuff within. Or have a sip from the glass. While this was certainly an interesting presentation, I was not particularly impressed with the syringes. The stuff inside was billed as White Rum and Vodka. The cocktail felt quite mild. And somehow the idea of holding a syringe near your mouth to sip the shot felt weird. I could somehow hear in my mind the old television commercials for Polio vaccines. Drop Down tubes looked straight out of a play Chemistry set. These shots had both an intriguing presentation and flavor. The red ones felt more like watermelon flavored shots while the green ones were more minty. 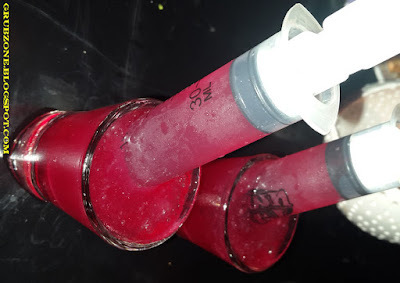 Both shots were infused with a bubble gum flavored mix. 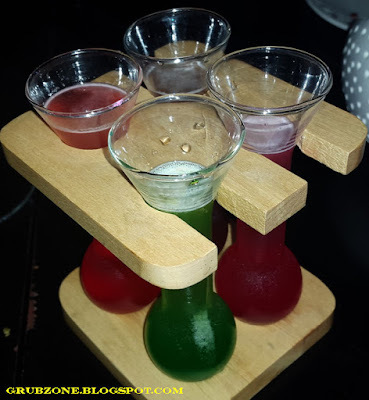 As soon as I took a sip of the green test tube, I turned into the Hulk smashing through the bar and the red one turned me back into an over-imaginative writer. True story. 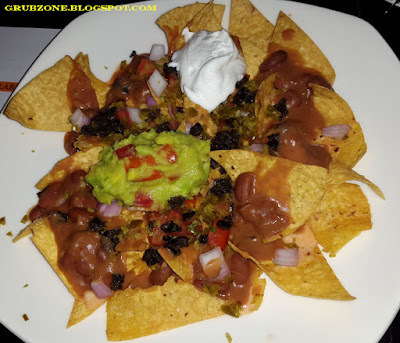 While Zouk really excelled on the Grog and the Ambiance part of the experience, I felt that the food was very average and left me unsatisfied. Fiesta Nachos served with Guacamole and sour cream tasted quite ordinary and very Indianized. There was nothing Mexican about it. The chicken variant was merely the veggie variant with some chicken cubes added on top of it. The Chicken had not been married to the dish properly and tasted odd. 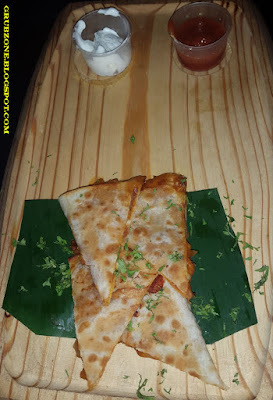 Chicken Quesadilla tasted very much like an Aloo Paratha. The tortilla dough felt more like paratha dough. It was oily and the chicken even smelled and tasted like potatoes. Methinks that this item needs a complete rework. 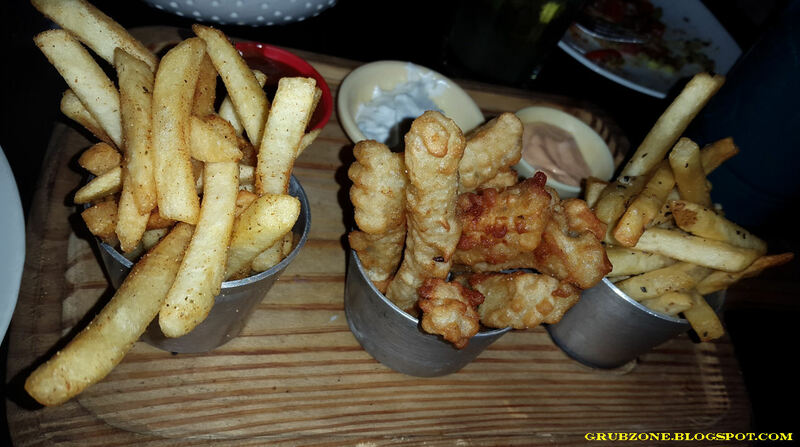 Truffle Fries and Bucket of Fries were also served with the appetizers. Not much to write here except that I really liked the curved thick fries in the bucket. Kung Pao Potato was tangy and tasty. It was the best amongst the vegetarian appetizers. But this was no Kung Pao potato. It was crunchy and hard as opposed to the real deal. 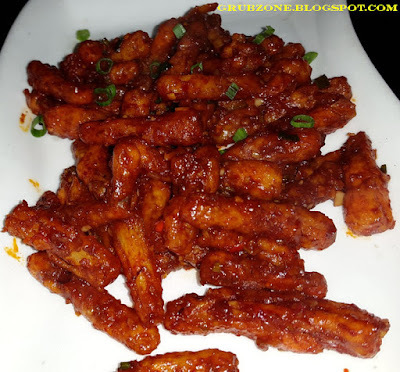 So I think it would be apt to call this spicy crunchy potato instead of Kung Pao. Captain : Tasty, Savory, Crunchy but not quite Kung Pao-ey. Crewmate : What manner of word is Kung Pao-ey? Captain : Stop being such a joy killer lad, I was just trying to keep me rhymes straight. 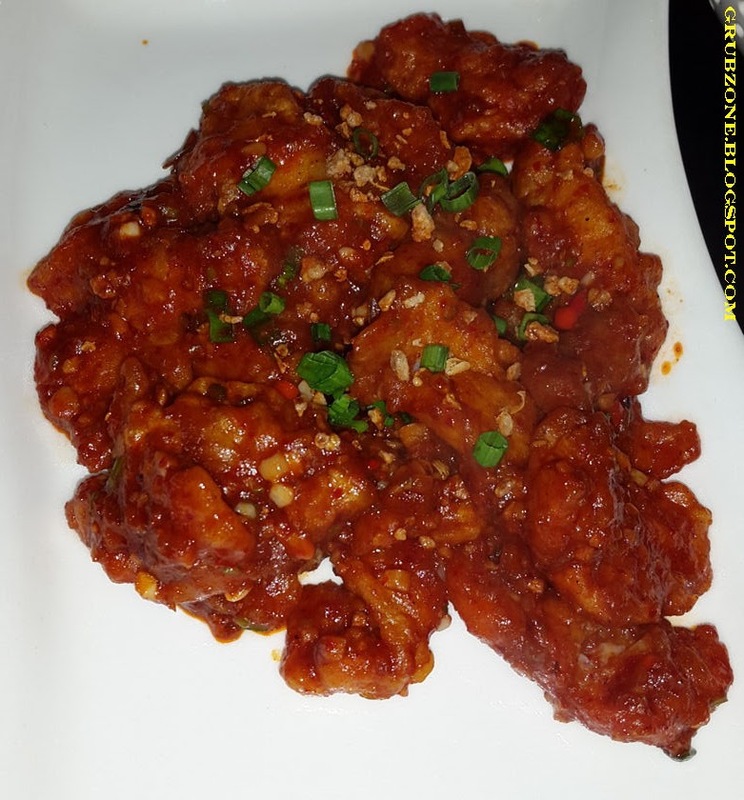 Szechuan Garlic Fish was all right. However, I did feel that a different fish would have been more flavorsome with the spicy mix. Basa felt too mild and soft for it. It was akin to sending an under sixteen player for the National team. 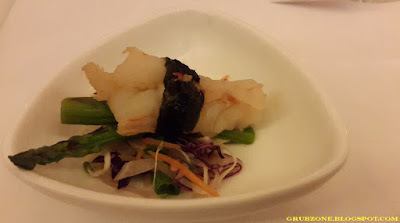 Creamy Prawn rolls were prawns wrapped in a crunchy hard roll. 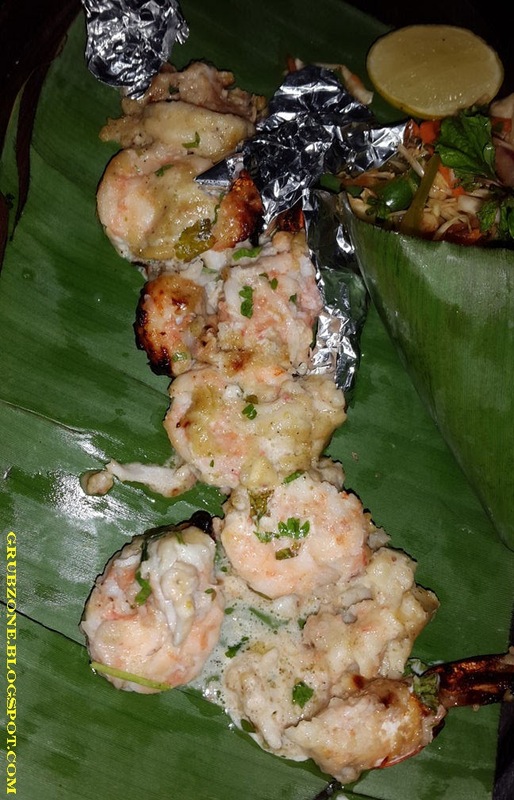 The prawns felt too smelly to certain people of the group. I felt that the flavor was a bit off. 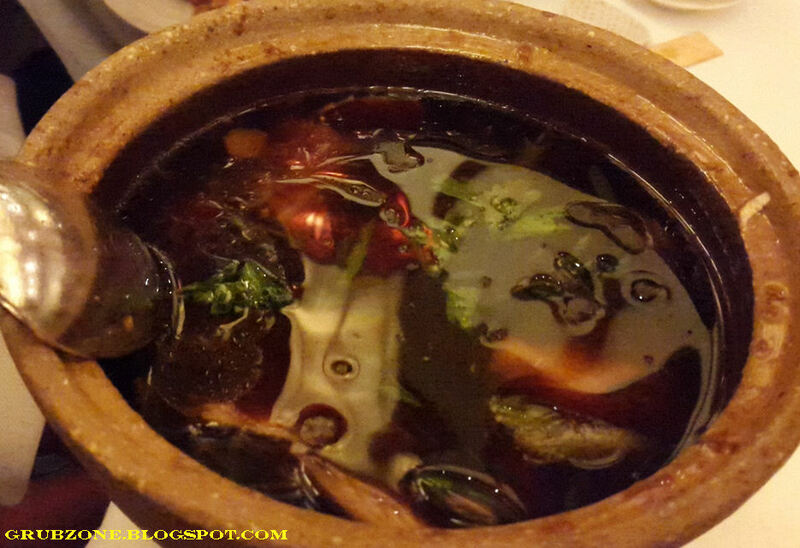 While it was a tasty meaty dish, it somehow did not feel like Prawns. Maybe the Prawns were old or perhaps the mixture overwhelmed the prawn flavor making it feel less authentic. 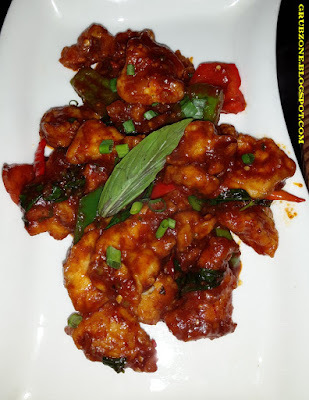 Chili Basil Chicken was perhaps the only dish that I found myself enjoying in the night. Though it was not very spectacular, the contrast of the ho hum dishes put the spotlight on this one. The chicken was soft and succulent with the flavor sinking in properly. The sweet chili sauce felt stronger with the flavor of Basil making a lesser of an impact. Chicken Kalimirch Kebab was soft, tangy and full of flavor. A favorite at most Indian pubs, it goes well with almost any drink. 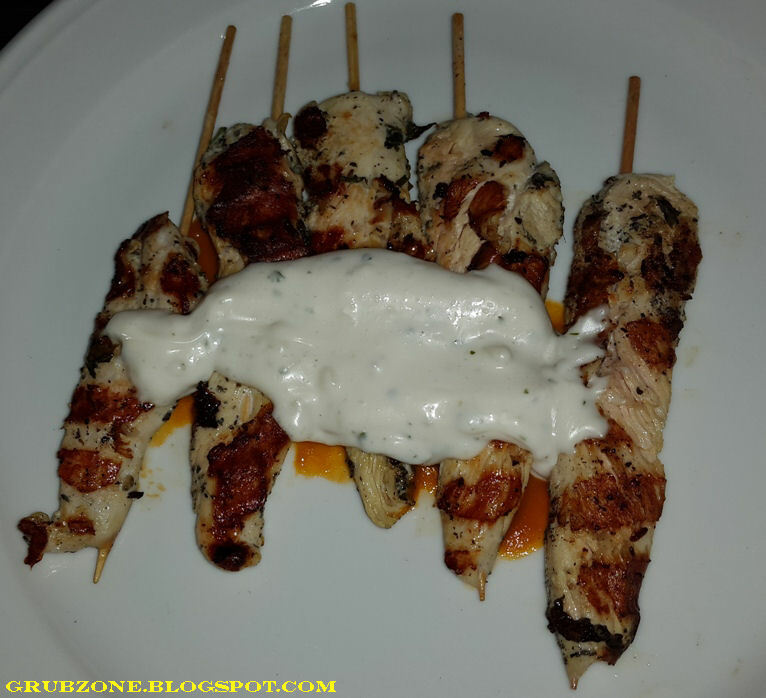 Zouk's Kebabs were decent and a highlight of the Tandoori section. Tandoori Mushroom somewhat resembled the Kalimirch Chicken Kebabs due to identical plating. The taste was on par though I have definitely had better. The tang appeared below expectations and the flavor felt very mild. 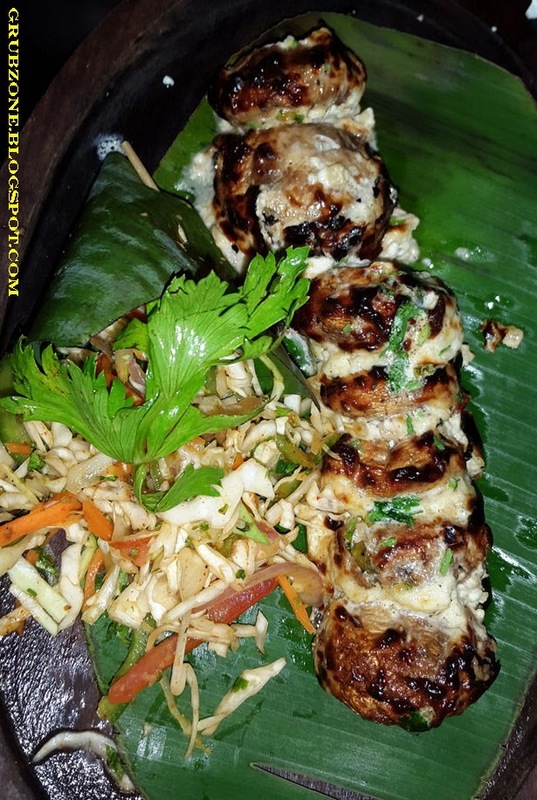 Makai Malai Kebabs resembled spring rolls in appearance. The taste was flavorsome with creamy corn filling within. The kebabs seemed to have found my liking as I ended up eating a lot of these. Definitely the best amongst the vegetarian Tandoori items. Best enjoyed when warm. Captain: Normally, I don't like corn but these little morsels be full of fun. Crewmate : Let me try one. Captain : Your shoelaces are untied lad. Crewmate : Oh, let me fix those... Wait a minute, I am not even wearing shoes... HEY! Where did all the Kebabs go? Chicken Kulfi Kebab was a dish full of potential presented in a very wrong way. The contents of these tightly double wrapped bags were cheesy succulent kebabs. However, this item suffered from two major problems. 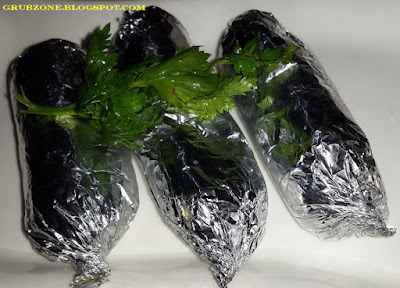 One, that it was very difficult to remove the foil creating the risk of swallowing small bits of foil with your kebab. The packing could have been a little less tight and easier to handle. The second problem was the presence of a very large bone in the kebabs. I felt that it should have been boneless. Lasooni Prawns looked quite appetizing on appearance and tasted all right. However, the prawns suffered from the same problems as those in the Creamy Prawn rolls. Moving on to the mains, as a carnivore I felt thoroughly disappointed. 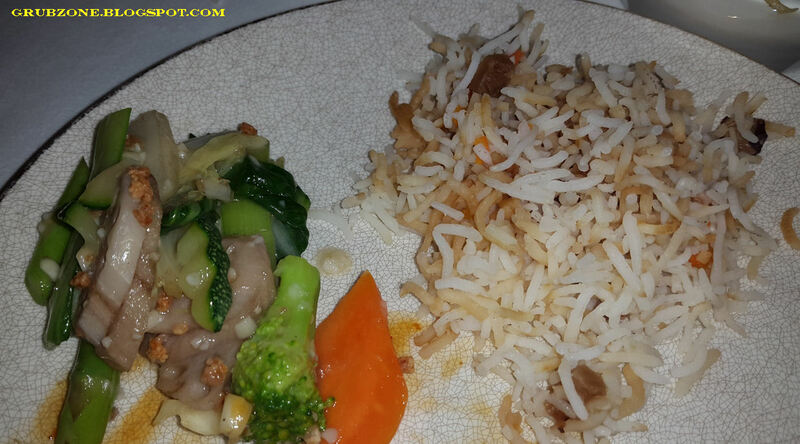 The mains seemed to be styled for vegetarians. 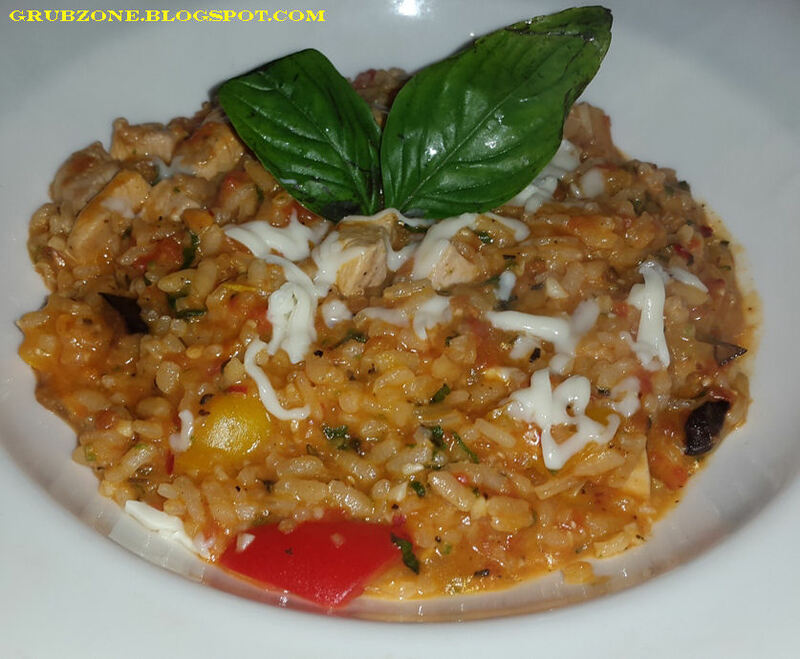 Ratatouille Risotto was almost bland. It neither had the flavor of Ratatouille nor the flavor of Risotto. 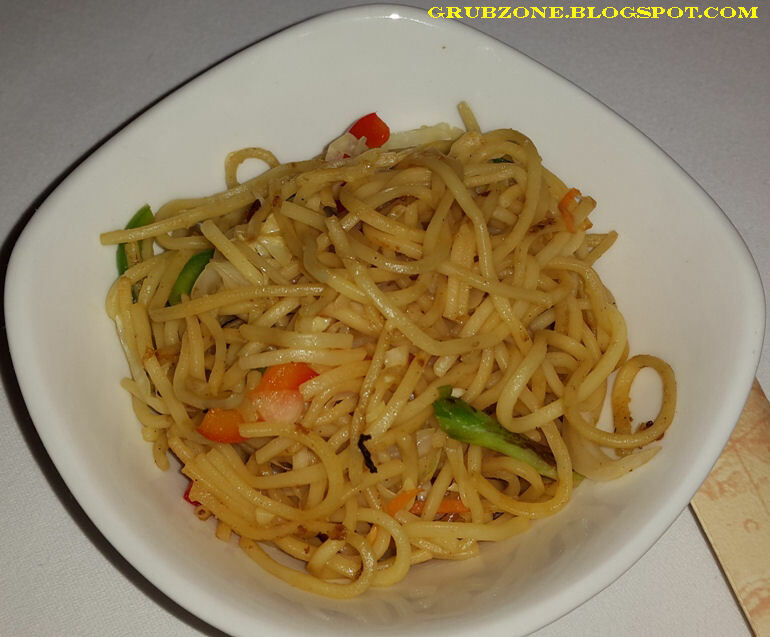 The non vegetarian version was not any different from the vegetarian version. The chef just added some cubes of chicken from the top. This was easily inferred since the chicken tasted different from the flavor of the dish. It was almost like chicken was airdropped into an environment clearly not its own. 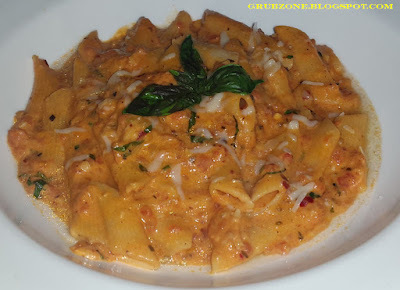 Vodka Tomato Cream Penne seemed to visually differ on the vegetarian and the meaty version. 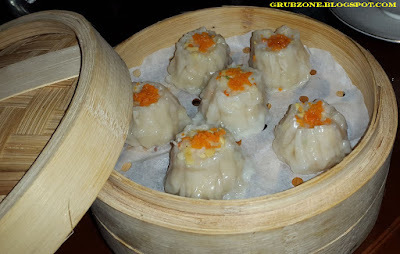 Despite both versions having an enticing appearance, the flavor fell flat on both of them. 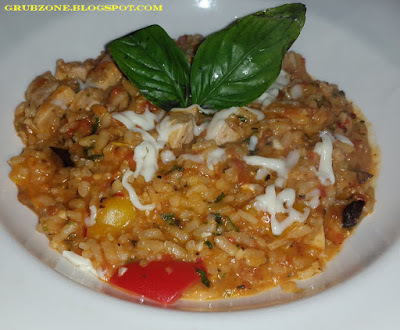 The Pasta felt undercooked(Lesser than Al Dente), the vodka was perhaps too mild and the chicken version suffered the same problem as the Risotto. 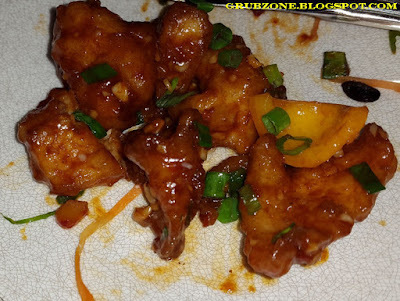 The chicken was not properly cooked with the dish, lacked marination and tasted much like salty Tofu. Classic Italian Caponata Rigatoni. 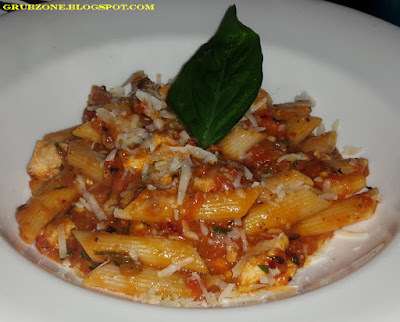 I am well aware that Rigatoni differs very slightly from Penne. Though this very much appeared like Penne to me. The flavor seemed to not differ much from the Vodka Cream Penne. 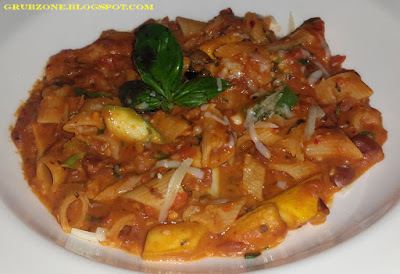 And visibly, it did not quite resemble Caponata Rigatoni. Chilli Coconut Spring Vegetable was the unexpected savior of the night. 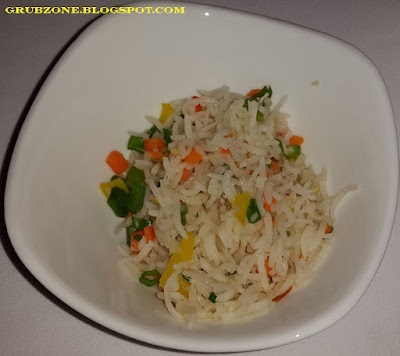 Despite me not being too fond of both regular rice and Coconut, this dish was the lone main that made its mark. 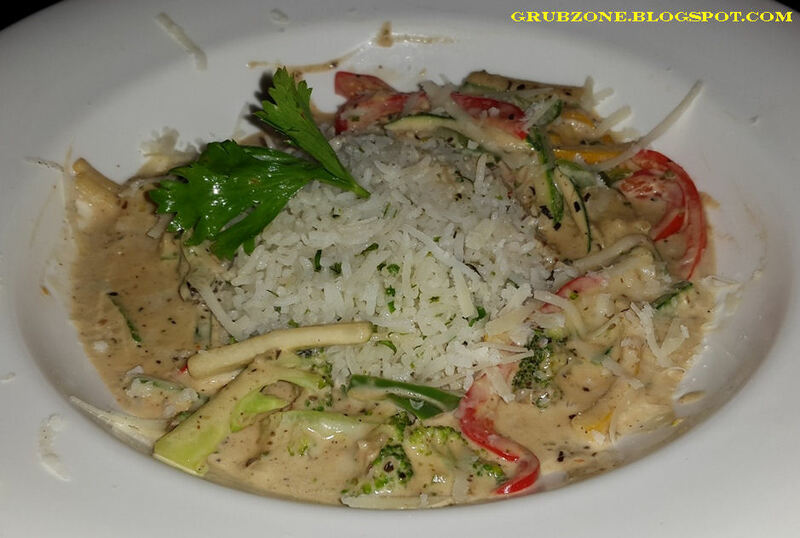 The creamy coconut gravy blended well with the fried rice. Captain : This actually tastes all right. Crewmate : You seem to actually like green food for a change. Captain : Seems like the only island in a sea of mediocre mains. 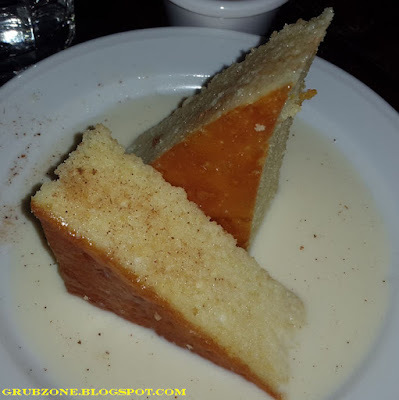 Latin American Three Milk cake felt quite relieving after the disastrous mains. Its preparation however appeared quite simple. It looked and tasted like a pastry drenched in condensed milk (Milkmaid) and served with some fruit compote. The Chocolate Lava Fondant had a great plating but the lava reserves within seemed to have run dry. 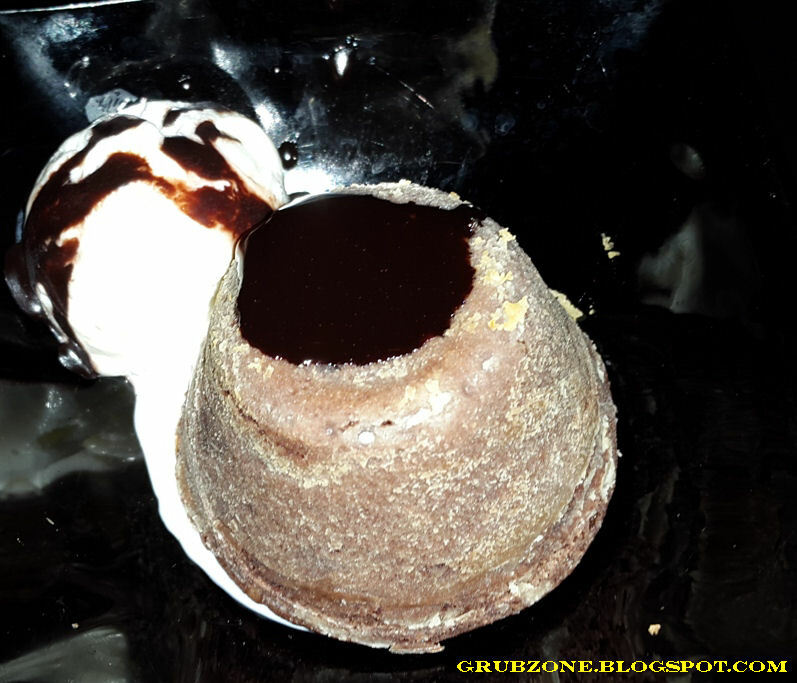 There was barely any gooey chocolate inside. 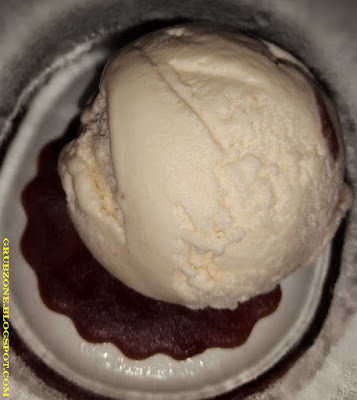 It would have felt like a regular cake had it not been for the ice cream accompaniment. The service could use a lot of improvement. It took a while to get the server to bring the Chicken mains on the table. 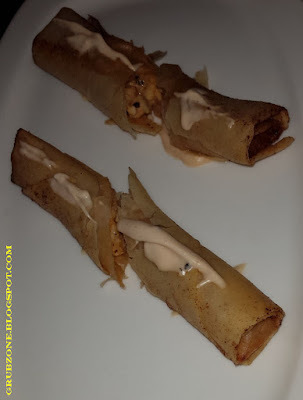 They also oddly served Enchiladas to us after we had finished the dessert and were preparing to leave. 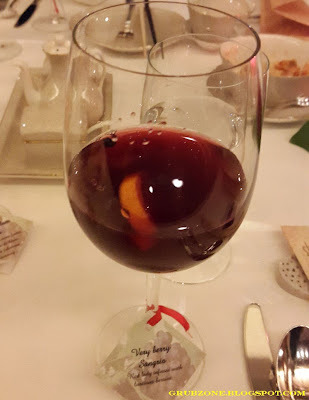 While the Restaurant manager seemed like a polite fellow who was an expert in mixing the drinks, the regular staff appeared to be a tad bit uninspired. Since the meal was on the house, I cannot comment much. The pricing on the menu appears to be lower than most pubs for the Grub although the quality of the grub needs serious improvement. The Grog seems to be on par for the experience. 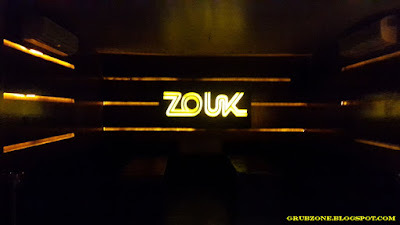 My final thoughts on my Zouk experience is that it scores greatly on Ambiance and pub culture. There are even games like Ludo, Jenga, Foosball and the like. The Grog also scores highly on my scale. The grub however is solely responsible for pulling down the overall score. I would definitely visit Zouk again, but only for drinks next time. "You fellas better be sober for some sailing. Can't drink and sail on the rough seas after all."